A friend for everyone—that's what Lily Cosme wants this holiday season. 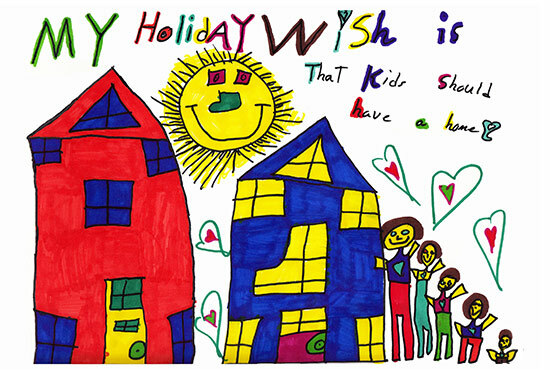 Lily was one of four local elementary students who were announced as winners of the Edgar Snyder & Associates "My Holiday Wish" Coloring Contest. In addition to bragging rights and prizes of their own, each student received a $1,000 donation to his or her school and will be featured on the law firm's holiday greeting card. 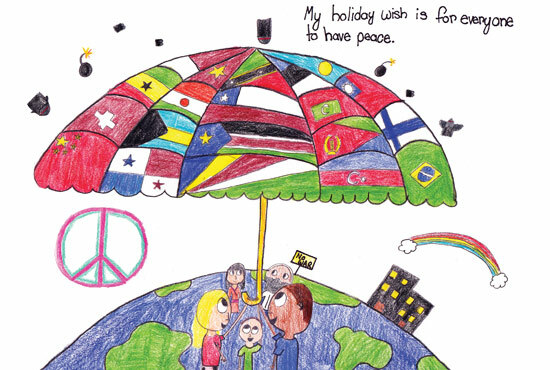 The students' illustrations will also appear on an Edgar Snyder & Associates billboard in their communities. Lily Cosme, age 9, of Butler Catholic School (Diocese of Pittsburgh), walked away with the grand prize—a $250 VISA gift card in addition to the donation for her school. 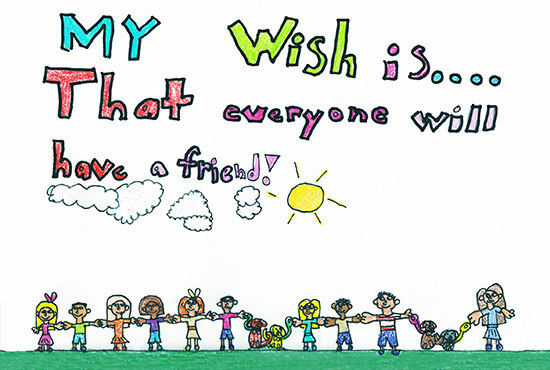 "My wish is…that everyone will have a friend!" she said in her illustration. The illustration shows a string of friends holding hands with each other, including a couple of animal friends. Aby Farmer, age 5, of Mary Queen of Apostles (Diocese of Greensburg). The winners were chosen by an independent panel of judges from the Western Pennsylvania community: Ing Kalchthaler, the Youth Services Coordinator at Shaler North Hills Library; Myrna Rosen, an internationally-recognized calligraphy artist and adjunct professor in Carnegie Mellon's School of Design; Hana Haatainen Caye, the blogger at the Green Grandma blog and children's author; and Melissa Reese, a Materials and Museum Educator at Carnegie Museum of Natural History. The four students join a longstanding tradition at Edgar Snyder & Associates. The contest, which is in its 12th year, has always served to add a personal, inspiring touch to the law firm's holiday cards. But last year, the firm gave the contest a new "edge"—all four winners started receiving the $1,000 donations for their schools, instead of just the grand prize winner. "I'm always astounded by the quality of our submissions, and this year is no different," said Attorney Edgar Snyder. 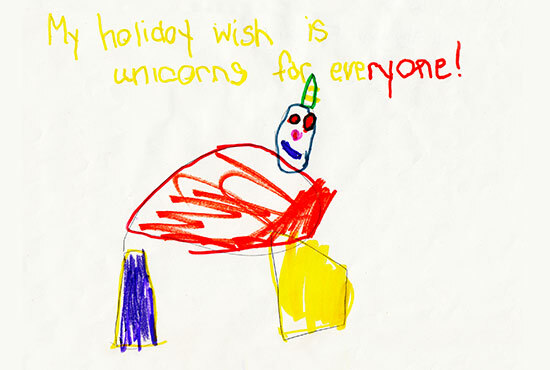 "Our holiday coloring contest allows us to showcase the dreams and imaginations of children in our communities, and it's also a fun way for us to give back to our local schools."